Good Sabbath morning and good wishes from Ireland. Yesterday, I had good cause to write to Dr. Alan Billings, in his capacity of the South Yorkshire Police and Crime Commissioner. In my open correspondence, I made a bold suggestion to him, and offered up to him a “Thought for The Day”. 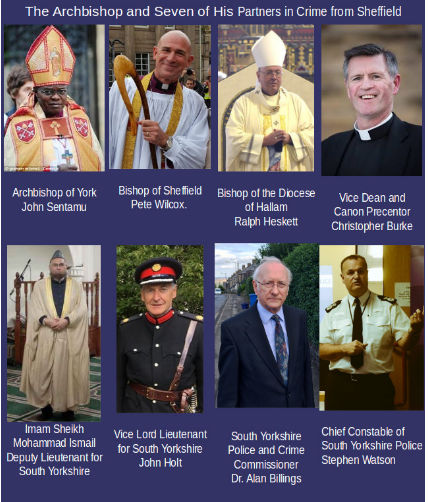 My suggestion involved The South Yorkshire Police and Crime Commissioner attending the Liverpool Metropolitan Cathedral for the Hillsborough Remembrance Service on 15th April 2018, in order to break wide-open the still hidden Truth about Hillsborough. 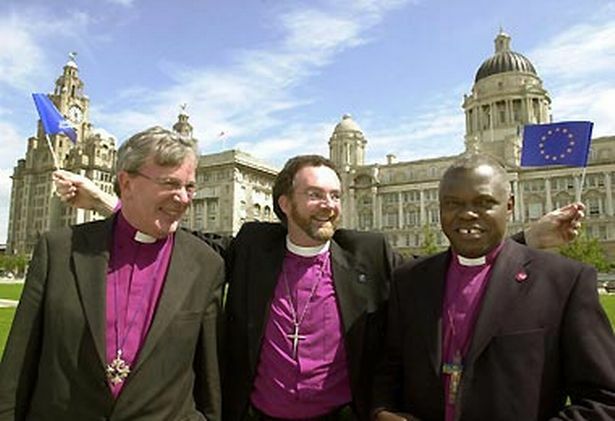 We suggest from then onwards that the church bells should not cease ringing every day for the 96 until the real truth comes out. To that end, I hinted that The Police and Crime Commissioner, besides seeking The Peace of The City, might ask for help and support from Peter, John and James. By Peter, I mean your former Dean of Liverpool, and by John, I mean your current boss, and by James, I of course mean you. From my vantage point, may be what Luke 18:1-8 is for you, Jeremiah 29:7 is for Alan. 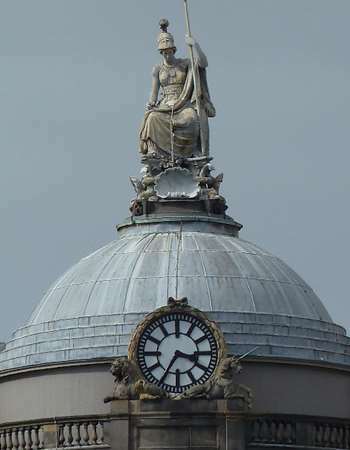 On the Old Town Hall in Liverpool, flanking each of the four clocks around the dome are a unicorn and lion, and high up on the top of a dome raised on pillars, a statue of Teia Tephi sits. Sadly, relatively few in Liverpool will know about Teai Tephi. Do you, please? In case you don’t, she is much more widely known as Britannia, but Teia Tephi is intrinsically linked to Jeremiah, The Old Testament Prophet, whose great commission ended in Ireland, where he died and was buried, but not before PLANTING The Ark of The Covenant on The Hill of Tara in Royal County Meath, and Teia Tephi the daughter of king Zedekiah of Jerusalem, as the queen of Ireland. See, I have this day set thee over the nations and over the kingdoms, to ROOT out, and to pull down, and to DESTROY, and to throw down, to build and to PLANT. 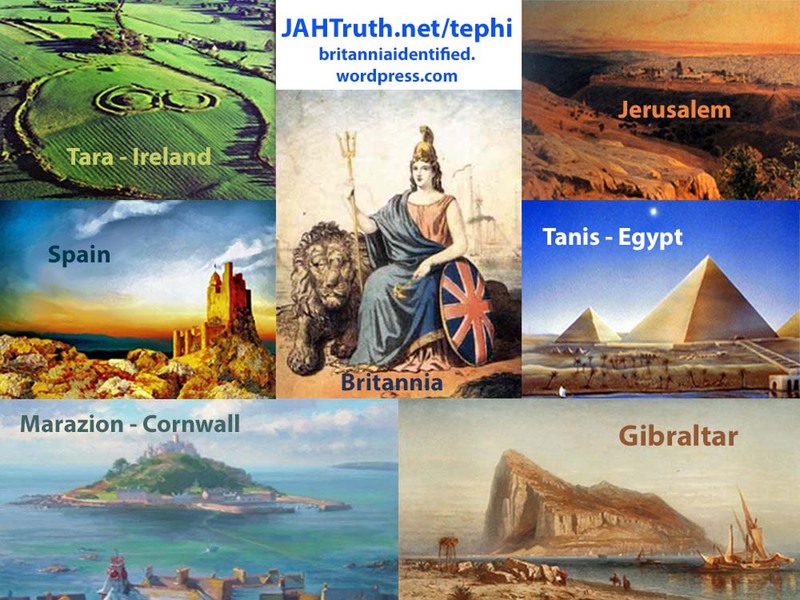 In The Book of Tephi, from the King of kings’ Bible, Teia Tephi, queen of Ireland and Gibraltar expands on what Jeremiah wrote in The Bible. A tendar twig of the Cedar, yet sheltered from prophecies. The prophet of God revealed this. Is not his speech made plain? He came to “ROOT and DESTROY”. He went forth “to PLANT again”. In case Alan is a bit backward in coming forward, you and others named within this email might wish to offer Alan some words of encouragement here. For just right now, Alan needs the courage of a lion profile, rather than the “injustice without courage” profile which remains a pitiful and cursed hallmark of his much troubled police force, and with respect, you all collectively need to understand and take heed of the real meaning of that unicorn in Liverpool. The Heraldic Symbolism of the Unicorn on the British Coat-of-Arms. Disciple of Crown Prince Michael, otherwise known as JAH, or CHRIST in His First and Second Coming. P.S. In addition to copying in Peter and John, I am also copying in Thomas, Philip, Anne, Margaret, and MICHAEL. For Thomas, read as Tom Williams, Auxiliary Bishop of Liverpool. For Philip,read as Professor Phil Scraton, from Queen’s University in Belfast. For Anne, read as Anne Burkett, A Persistent Widow. For Margaret, read as Margaret Aspinall. For MICHAEL, please read as Crown Prince Michael, The Archangel, otherwise known as JAH or CHRIST in His First and Second Coming. 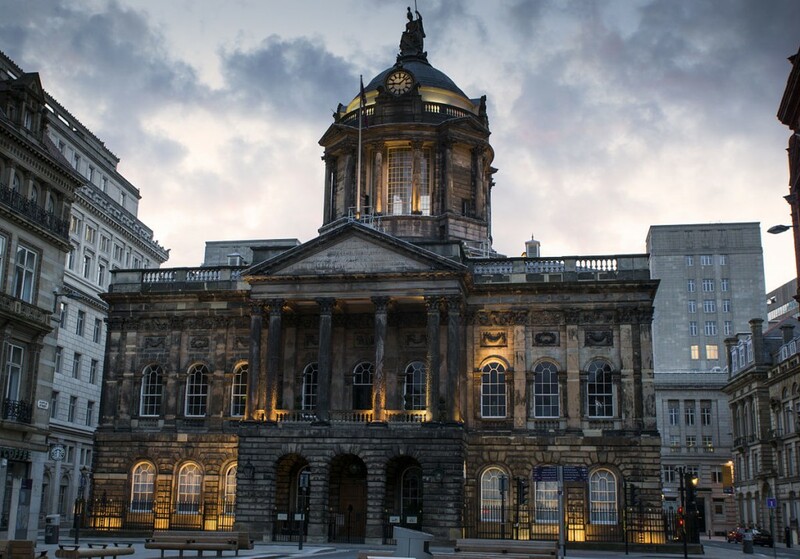 He is also known as Muad’Dib, The Teacher of Righteousness, and He is the producer of the Hillsborough Ripple Effect Film which really needs to be watched by every family in Liverpool, irrespective of whether they have been affected by Hillsborough or not.